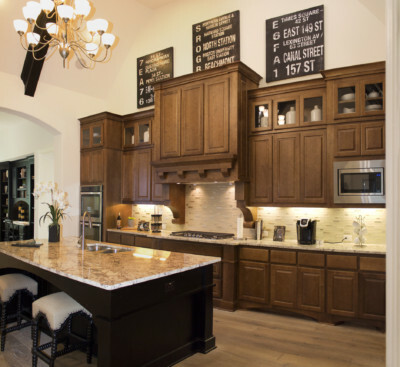 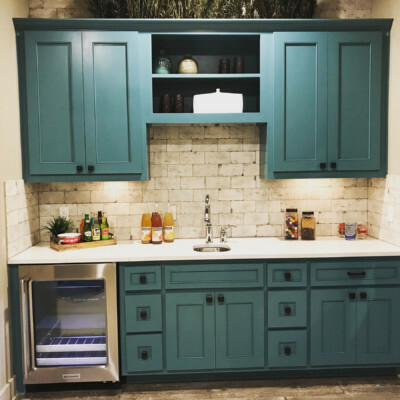 Farmhouse kitchens and farmhouse cabinet doors are trending with over 23,000 searches on Pinterest last week alone! 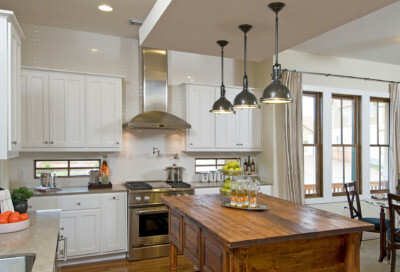 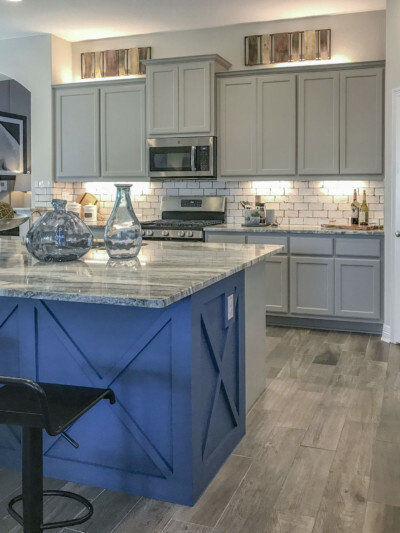 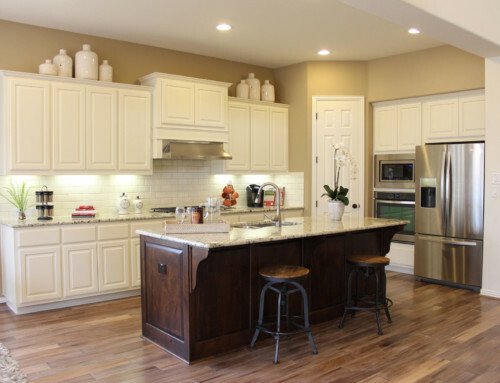 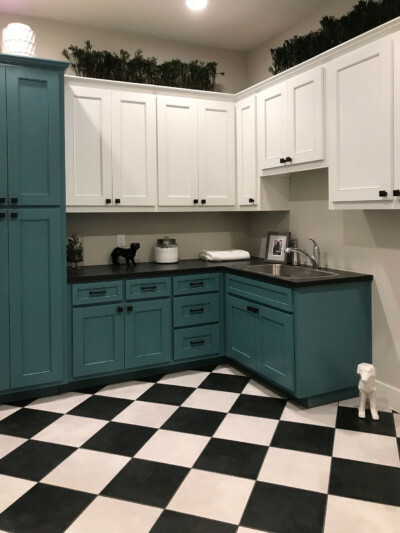 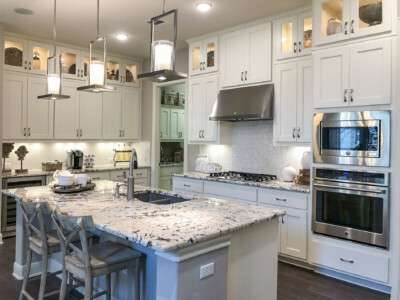 Farmhouse cabinets tend to be painted white or a very light color, with natural wood elements such as butcher block countertop brought in as accents. 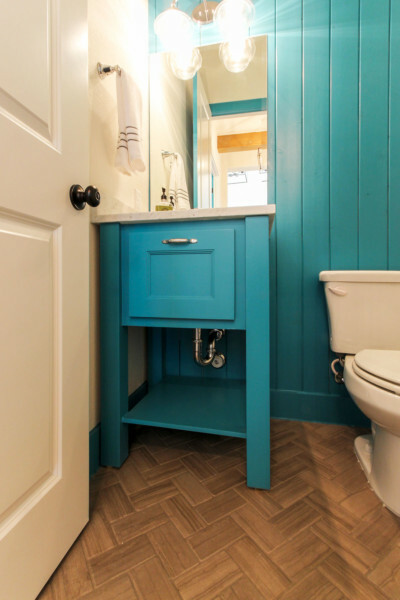 Light blue-or-green-painted, furniture-style islands, built-in hutches or accent cabinets are also typical of farmhouse design. 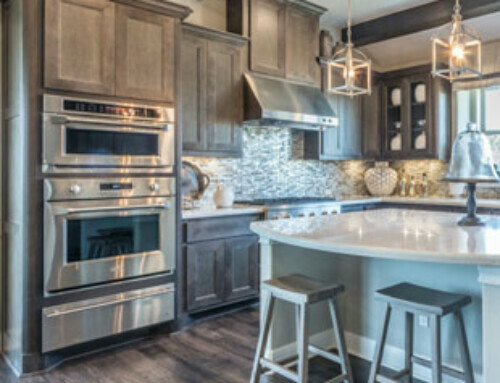 Accessories such as pot and pan racks, pitcher collections shown through glass cabinet doors, and vintage art and cooking implements also help define the farmhouse look. 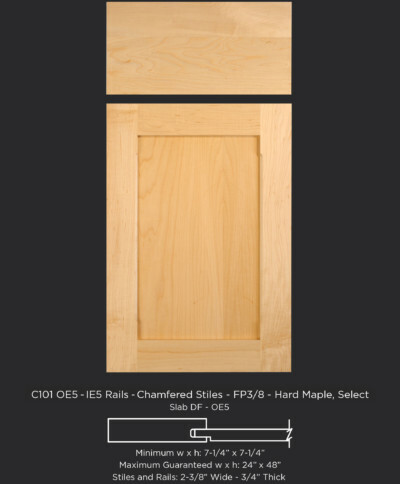 Farmhouse cabinet doors range from traditional raised-panel, cope and stick designs to simple flat-panel shaker-style doors. 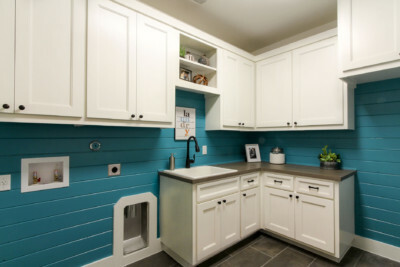 Shiplap is often used on today’s farmhouse kitchen walls, made popular by a well known TV show couple that fixes up houses. 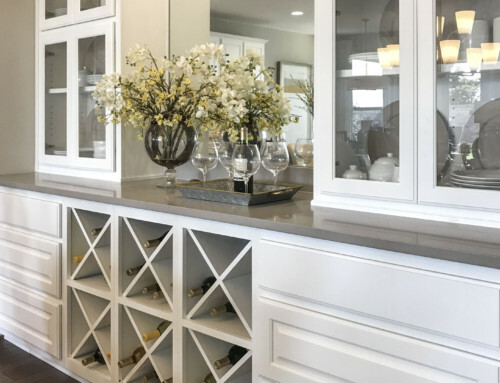 To create the look of shiplap on cabinet doors, customers often use v-groove panel cabinet doors in natural wood or painted. 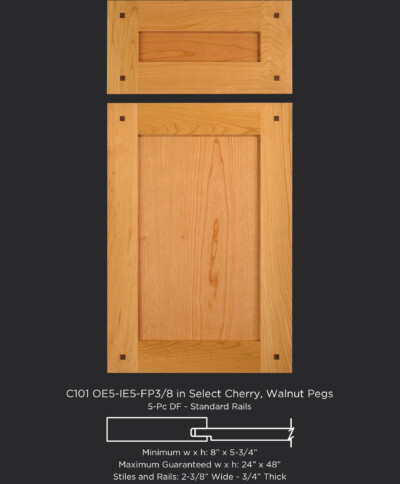 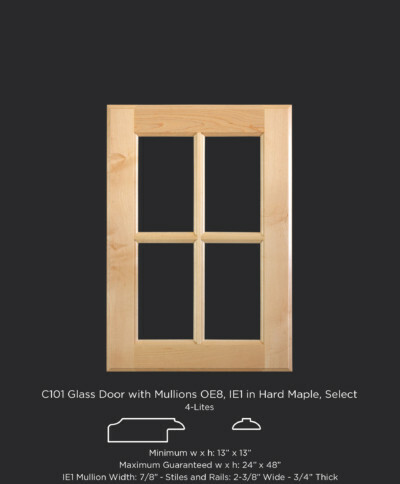 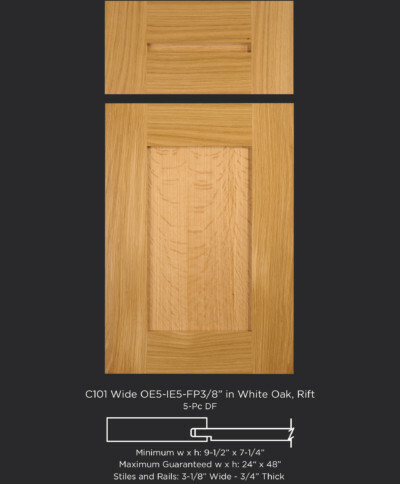 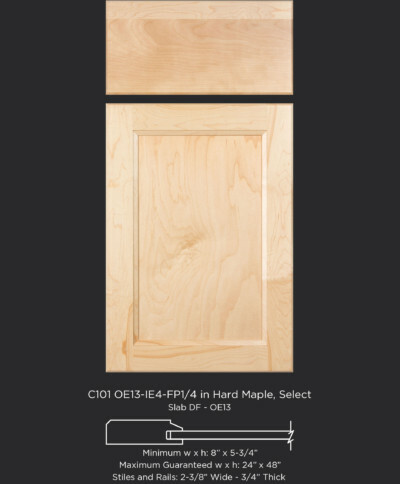 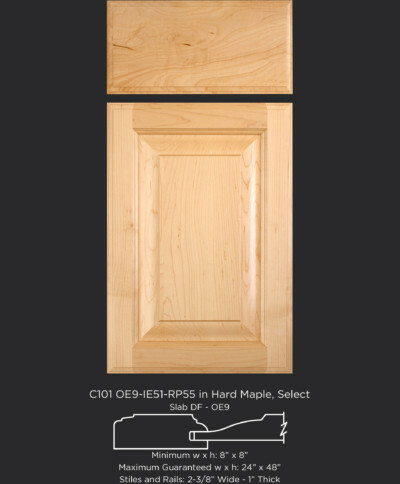 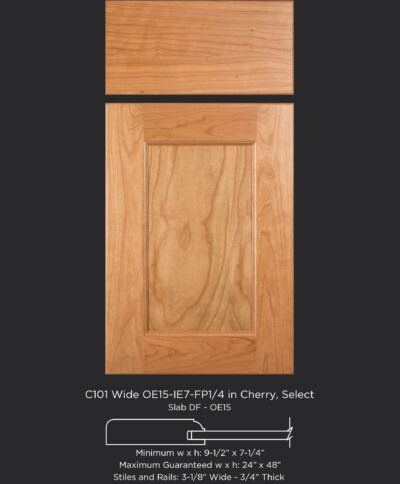 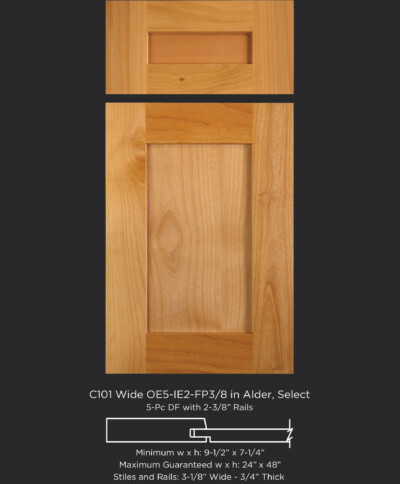 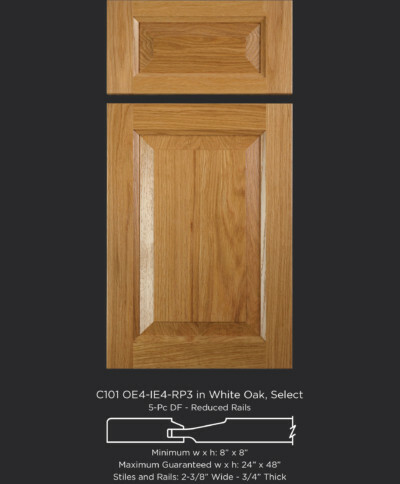 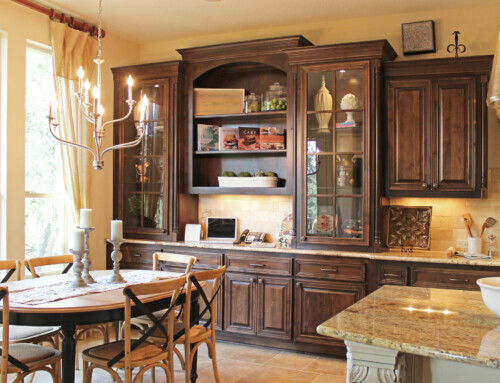 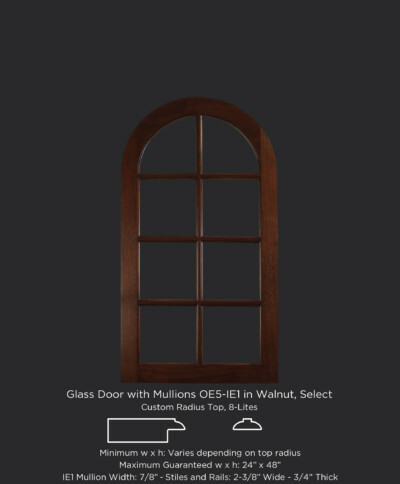 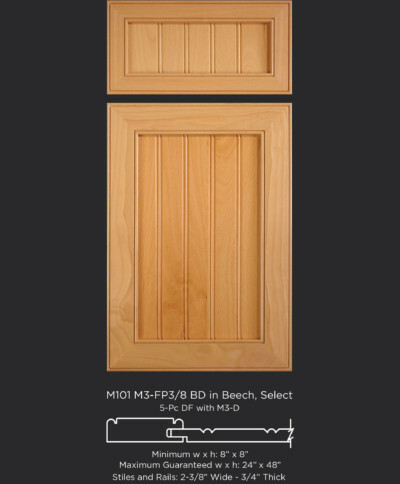 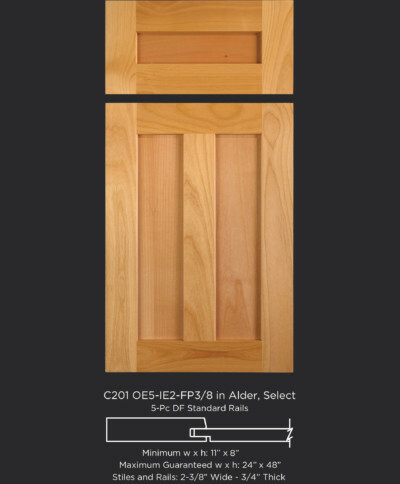 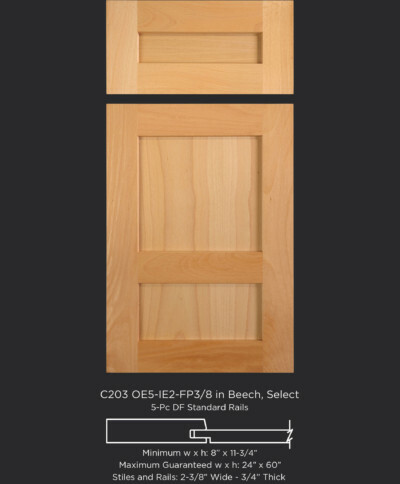 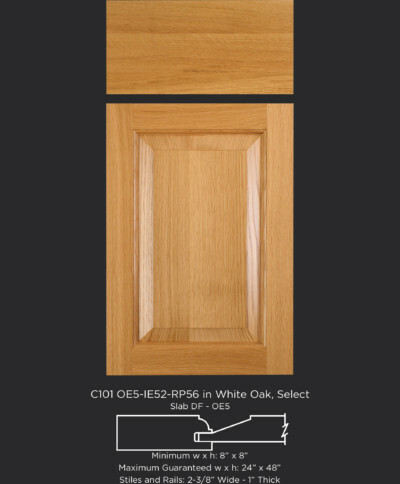 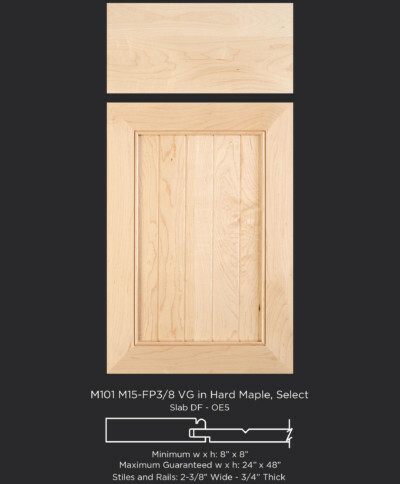 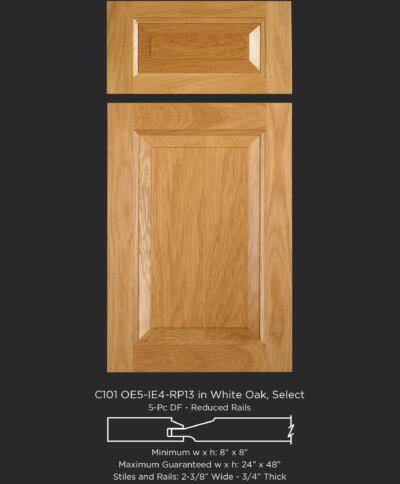 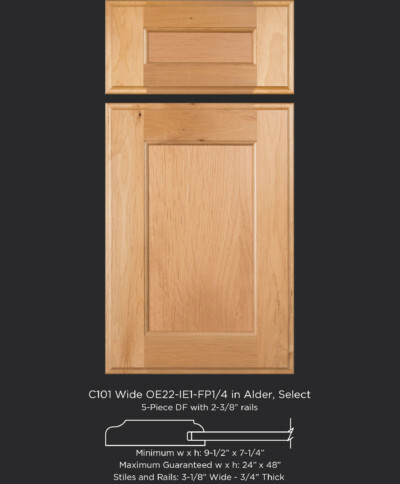 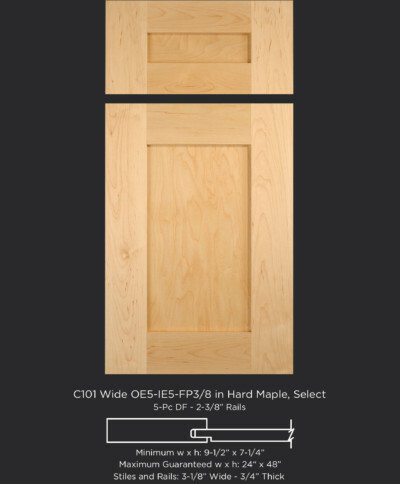 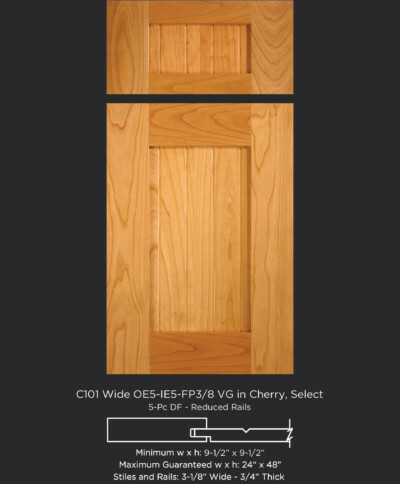 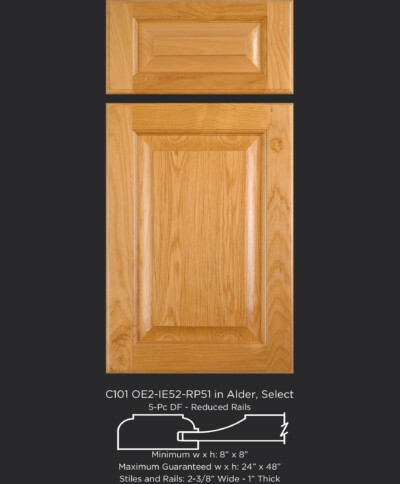 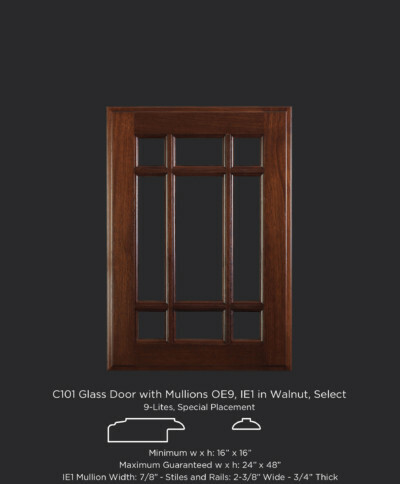 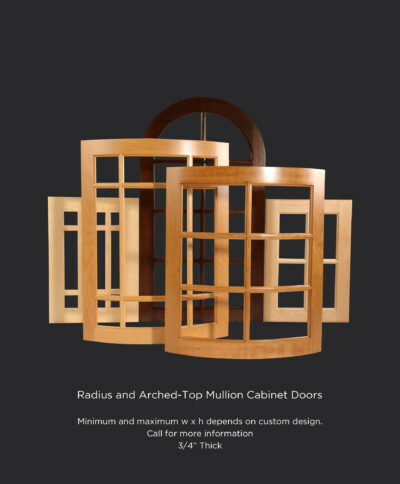 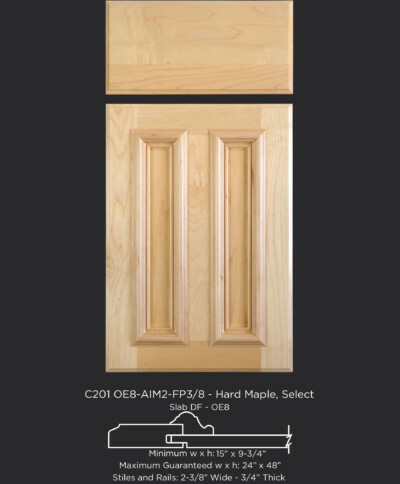 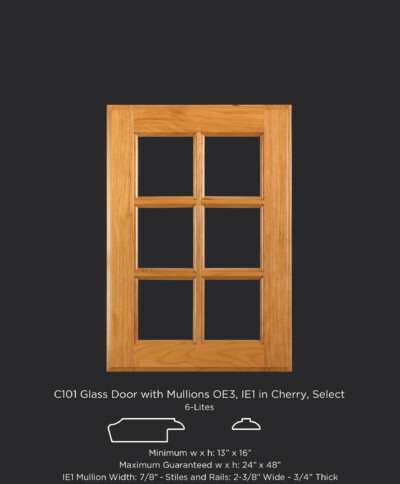 Check out our complete Cabinet Door Style Guide for additional information on cabinet door construction types and cabinet door designs.